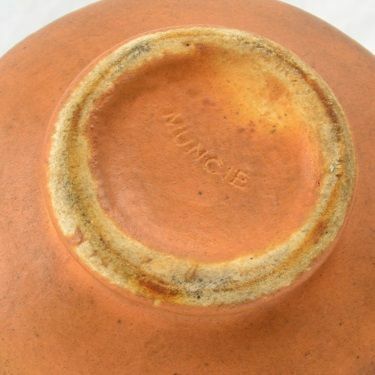 Until about 1925, there were generally no marks on Muncie Pottery, because the pieces produced were sold only to wholesalers. 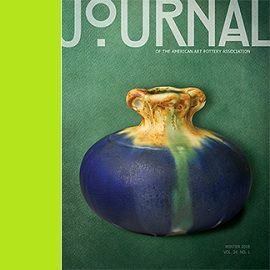 There was no perceived need for brand recognition, and many retailers placed foil or paper labels on them with their own logos and names. 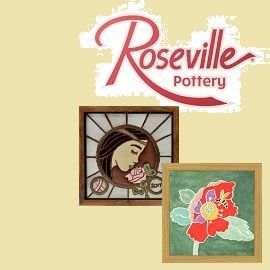 These pieces are almost always made from almond or greyish clay, utilizing Indiana clays as part of their formulas. In 1926, finishers and molders marks were applied as a way of tracking the number of pieces an employee should be credited with completing. Finishers used the letters A, B, D, E, K, and M. Molders used Roman numerals I and II as well as standard 2, 3, 4, 5, and 6. They are usually found in combination such as 2-A or 5-B, but Roman numerals are often found by themselves. 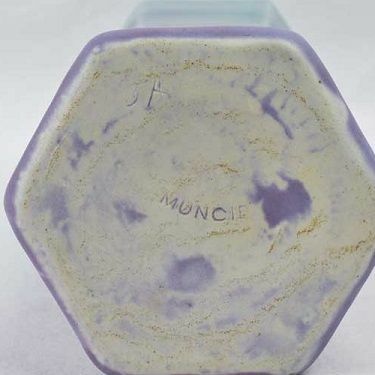 By 1927, nearly all Muncie Pottery was die-marked with a curved MUNCIE stamp, although the finishers and molders marks continued to be used as well. Due to the thick application of some glazes, the pieces often had to be ground on the base in order for them to stand upright correctly. 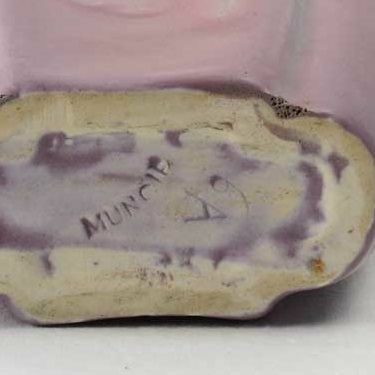 It was not unusual for this grinding to remove all or part of the stamped MUNCIE mark. 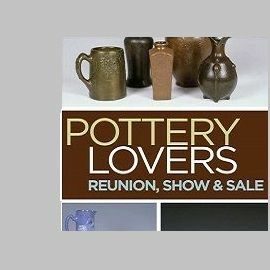 These pieces tend to be made from a whiter clay because they changed their formula and removed the Indiana clays from their mix. 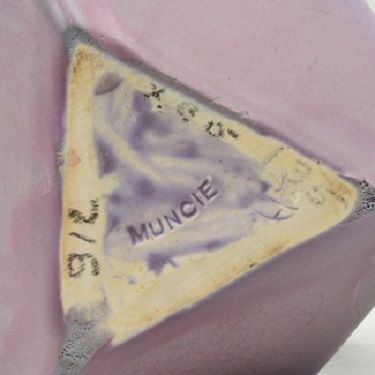 The best way to identify Muncie Pottery is a three-stage process. The first is by the shapes, which are relatively distinctive. The second is by the markings if visible. 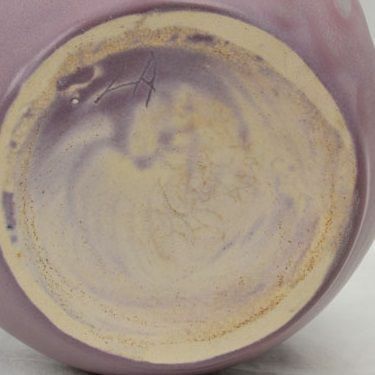 The third is the color of the clay, and the typical Muncie smear pattern of glaze on the base. 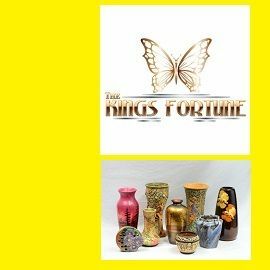 As of the date of this article there are no known fakes, forgeries, or reproductions of any Muncie Pottery on the market. 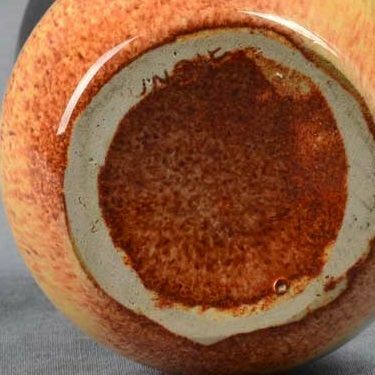 Additionally, there does not seem to be any price difference in the market for various marks on the same pieces. 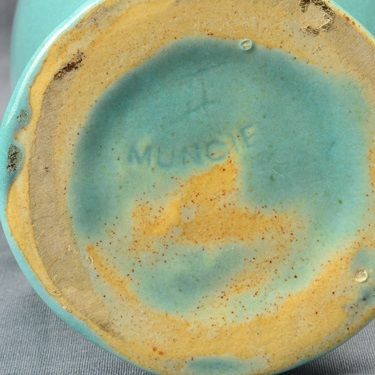 Below are some examples of what typical Muncie Pottery base glaze smears and markings look like.